On June 1, 2018, David Street Station unveiled the highly anticipated splash pad made possible by Hilltop National Bank. 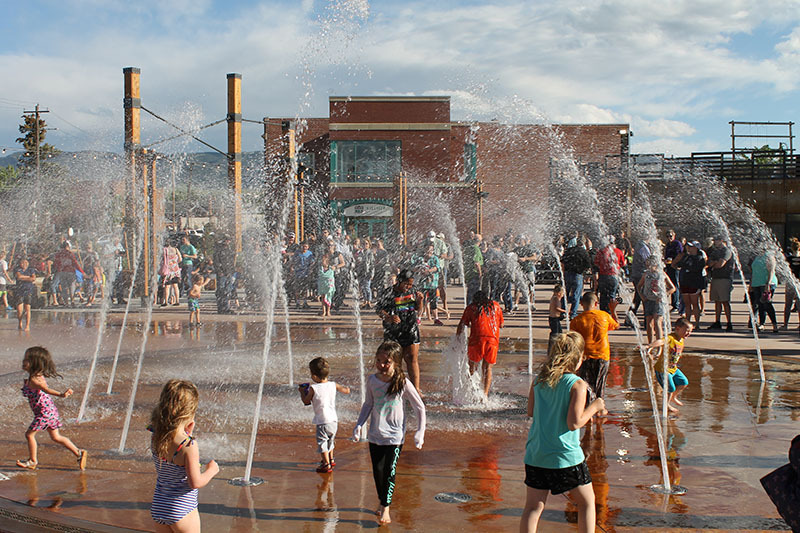 Since then, the Hilltop National Bank Splash Pad has been a highlight of summer in Casper. Anytime you drive by David Street Station between 10 am – 10 pm, the splash pad’s operating hours, you will find the splash pad full of kids of all ages ready to soak up the water and cool down from the hot summer sun. With every event, more and more of Casper residents see the outer-workings of the 25-sprayer splash pad. Today, we take you behind the scenes to see exactly how Casper’s newest landmark is making a splash. Down a flight of stairs underneath the beautiful and sustainable Observation Deck is where the splash pad’s pumps and filters are housed. Thirteen water pumps tuck up against the south wall. 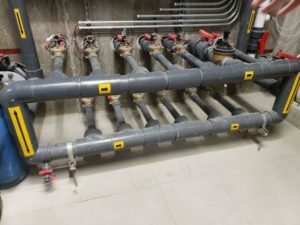 Each of the smaller twelve pumps send water to two sprayers each, while the thirteenth pump, and largest, shoots water up through the middle fountain. 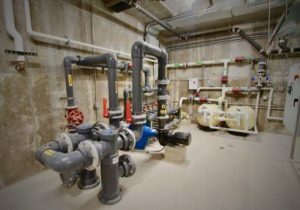 The pumps are controlled through an intricate digital system that chooses which program to run. The programs set the timing for when each sprayer goes on-and-off and in which order. Each program runs for 20 minutes on an “interactive” mode; meaning that if no one is at the splash pad, it doesn’t turn on until someone presses the “Start Water” sensor on the splash pad itself. When the water goes back into the drains up above, it is sent though four water filters housed in the pump room. After the water is filtered, it is sent through a tube with a UV light that kills any bacteria present in the water. 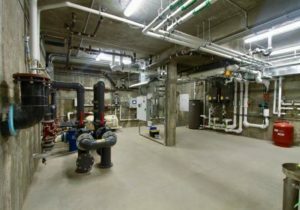 Hooked into this system is where the chlorine is regulated. A small amount is pumped through with the filtered water each day to ensure the cleanliness of the water. Next time you are at #WhereCasperComesTogether, take comfort in knowing that the water is not going to waste and is clean and for you and your family. 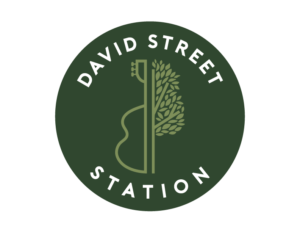 Visit www.davidstreetstation.com for the most up-to-date information and connect with us on Facebook and Instagram. We love to hear from you and see all of your photos at David Street Station. Be sure to tag us at #WhereCasperComesTogether and try out our Snapchat filter. No Replies to "Behind the Scenes: The Hilltop National Bank Splash Pad"